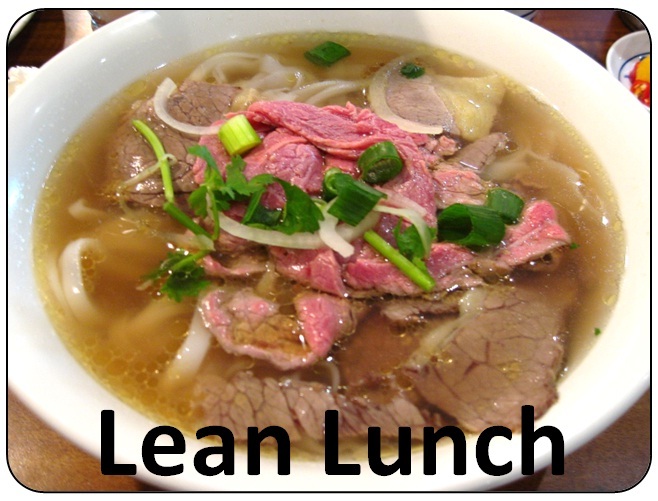 Lean Simulations: A Lean Lunch! I was out eating lunch with a bunch of coworkers and somebody mentioned how lean our meal was. He wasn't talking about the amount of fat in the meal, but the way it was prepared. I have the pleasure of living in a diverse city, and one of the benefits is that I can enjoy foods from many cultures. On this day we were sitting down to Vietnamese “pho”, or noodle soup. Now if you have never eaten a bowl of pho, you are truly missing out on an amazing food experience. Perhaps a life experience! Entire chef’s careers are built on cooking the best tasting pho. Pho is a simple soup consisting of broth, noodles, meat and some herbs. There’s something about that broth that makes pho taste like no other ordinary soup. It is divine. So how does a delicious bowl of soup relate to “lean”? Lean or the Toyota Production System, is the manufacturing equivalent of serving fresh food to our customer. No surprise that the Japanese were inspired by North American supermarkets. We practice lean when we reduce inventory and eliminate waste. The staple menu item in any pho restaurant is the rare beef soup. As each customer orders their soup, noodles are added to the broth and thinly sliced strips of raw beef are thrown on top. When the soup gets to the table, the beef is still rare and cooking at your table. Talk about eliminating steps from the process! There’s no pre-cooking of the beef. You don’t have to wait while someone fires a steak in the back. While Vietnamese cooks may not understand what lean is, they do understand value to the customer. Their customer wants nice tender beef, and they want it fast! During kaizen events, I often use the summer barbecue as an example of a batch process. We throw hamburgers on the barbecue until the grille is full. We’re only limited by the size of our barbecue! Well, the Vietnamese pho chefs have figured out how to have a hot meal ready in only a few seconds with minimal prep work. No inventory, no batching, no waiting and no overproduction! Lean isn't rocket science. It’s common sense. If you’re a lean geek like me, you’ll see signs of lean everywhere you go! People use lean techniques to reduce inventory and satisfy their customers in every industry. They may not call it lean, but the name doesn't matter, only the resultant value to the customer. Brilliant, Martin. Pho is awesome and you capture the process well. 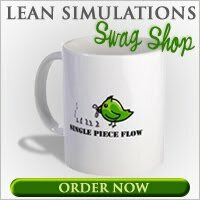 Nice site...I like the lean simulations you present here. Thanks Joe! Good to hear from another pho afficionado!